I love Christmas. Everything except the cold & snow. 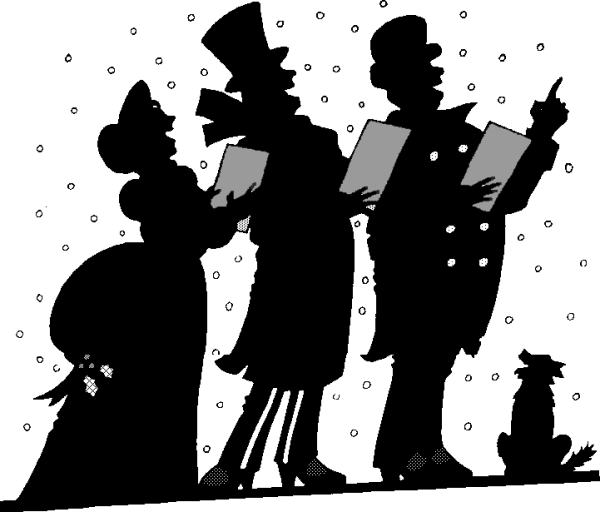 I especially love Christmas carols. 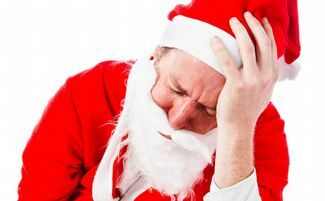 I have been disappointed this year because the local radio station that used to play Christmas songs 24/7 for most of December has apparently decided not to do so anymore. Bummer. The good thing is that, due to technology, I can pretty much listen to whatever Christmas songs I want whenever the mood strikes. Several years ago we did a little review of some of the best Christmas tunes out there, but let’s be honest…they aren’t all gems. Just like any other form of entertainment one must occasionally endure the bad while enjoying the good. I am fully aware that some may disagree with the opinions I express, and that’s fine. Fortunately this is a light enough topic that I think we can have some fun back & forth, so don’t hesitate to tell me if you actually like the songs I list here, and also what Christmas songs you don’t particularly enjoy. With that in mind, The Manofesto joyfully presents…..
from the home office in Humbug, AZ…..
I’m probably going to get some grief for this one. 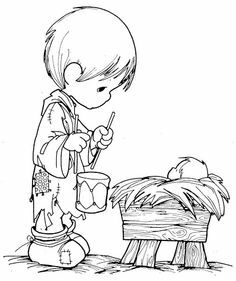 Written in 1941 by an American composer & music teacher, the song tells the story of a young boy who goes to see the baby Jesus. The kid is poor and has no gifts to offer except his talent for playing the drums. That’s cool. I get it. I understand the point behind the song…I just don’t care for it. I think it’s all that “rum pum pum pum” stuff. I need real lyrics. Despite the uplifting theme of the story the music is written in such a way that I find it to be kind of a downer. Your mileage may vary. 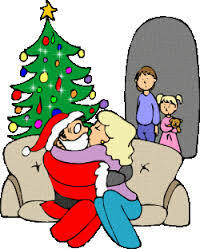 Nothing says Christmas like catching your mother cheating on Dad with Santa Claus. 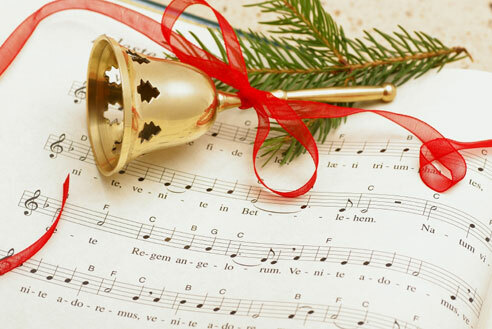 Written in 1952, the song was recorded by a 13 year old boy and has been a staple of the Christmas season ever since. I just don’t know why. Look, I’m a fun guy. I rather enjoy a good novelty song. I’m okay with the fact that not EVERY Christmas movie or song has to have ultra-religious connotations. And I realize that this tune is kind of a wink wink nod nod to the fact that (spoiler alert) the kid’s father IS Santa Claus. However, I still find it just a little bit creepy. The kid that sings this should get together with Hermie the Elf from Rudolph the Red-Nosed Reindeer. Hermie wanted to be a dentist and this kid wants his teeth…perfect symmetry. The guy that wrote the song in 1944 was a music teacher whose class full of second graders apparently had a lot of teeth missing. One just never knows when or how inspiration will strike. I suppose many people find the song to be cute & catchy. I just think it’s annoying. Oh boy…I’m going to catch it now. This is a tune that seems to strike a chord with really churchy types. Not necessarily genuine followers of Christ, but rather the folks that tend to make a pompous show of their religiosity. The song tells the story of a young boy in the checkout line at a retail store on Christmas Eve. 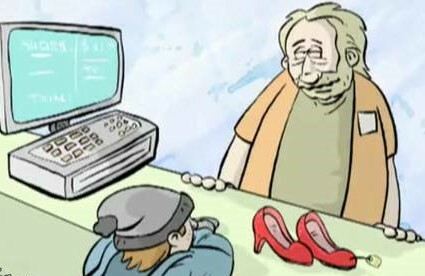 He wants to buy shoes for his mother, who is apparently on her death bed, but he doesn’t have the money to pay for them. Fortunately the singer of the song is a good dude and he volunteers to pay for the shoes so the kid’s mother can die happy and in style. Oh. My. God. Just shoot me now. First of all, the singer couldn’t carry a tune in a pickup truck. Secondly, the little boy needs to read his Bible. Jesus doesn’t care if you’re wearing nice shoes when you arrive at The Pearly Gates. If Mom is dying shouldn’t the kid be home spending precious moments with her instead of schlepping around WalMart on Christmas Eve?? How did the kid get to the store?? Is Dad out in the car waiting for him, and if so who is home with the sick mother?!?!?!?? I know a lot of folks probably think this song is really sweet. Conversely, it makes me want to vomit. It’s the Redneck Christmas Anthem!! I know, I know…it’s just silly fun. But really, is someone’s grandmother getting killed by Rudolph on Christmas Eve something to have a jolly good chuckle about?? Not only that, but Grandma was gooned on eggnog when she was trampled and on Christmas Day, while everyone else is in mourning, Grandpa is acting as if everything is just fine while he throws back a few cold brewskis. Now I realize that not everyone has the same awesome family experiences as I have been blessed to have, but the idea that someone’s grandparents are a couple of lushes doesn’t feel like an appropriate idea to laugh about. Look, I’m one of those people who thinks of Die Hard as a Christmas movie, so I’m not hellbent on everything associated with Christmas necessarily having to be warm & fuzzy, but this song…I just can’t. I’m just going to throw this out there – The Beatles are the most overrated band in the history of rock n’ roll. Yes, I said it. I went there. They certainly have some catchy & memorable tunes, and there’s no denying that Lennon & McCartney were talented songwriters, but I’ve never really understood the hype. Perhaps I’m just a decade or two too young. At any rate, Lennon wrote this song in 1971, after he let his wife Yoko Ono break up the band, as a protest against the Vietnam War. While I am not really the hippie radical protest type I recognize anyone’s right to engage in such activities, and I understand the power of music in relaying a message. I just don’t believe that a Christmas song is an appropriate way to utilize the bully pulpit. A very Merry Christmas and a Happy New Year. Let’s hope it’s a good one without any fear. 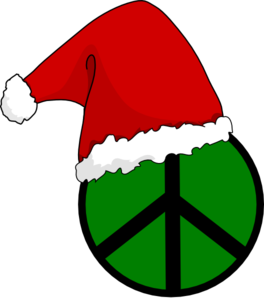 And so this is Christmas, for weak and for strong, for rich and the poor ones the world is so wrong. Wow, what uplifting lyrics!! Okay okay…I understand…this song is a product of its time, an era that preceded my birth. What I can’t wrap my head around is why it still gets so much play every December four decades later. It’s mind boggling. 1 Do They Know It’s Christmas? Celebrity types seem to have an odd fetish for assisting Africa. It’s true that The Great Commission in The Bible instructs Christians to “go therefore and make disciples of all the nations, baptizing them in the name of the Father and of the Son and of the Holy Spirit, teaching them to observe all things that I have commanded you”, but since the aforementioned celebrities rarely seem to example Christ most any other time you’ll have to forgive my skepticism when it comes to them throwing bucket loads of cash at African nations while treating fellow Americans with arrogant disdain. At any rate, back in 1984 singer Bob Geldof gathered a few of his friends…Bono from U2, Spandau Ballet, Duran Duran, Phil Collins, Boy George, Kool without his Gang, & a bunch of others you’ve never heard of…and formed Band Aid. They recorded this song to benefit famine relief in Ethiopia, which is, despite my mocking, a nice thing to do. But the song…the lyrics…wow. Again, not really the kind of inspiration one typically enjoys when listening to Christmas music. It’s hard, but when you’re having fun there’s a world outside your window, and it’s a world of dread and fear where the only water flowing is the bitter sting of tears, and the Christmas bells that ring there are the clanging chimes of doom. If George Bailey would’ve listened to this back in Bedford Falls not even Clarence could have prevented him from jumping off of that bridge.